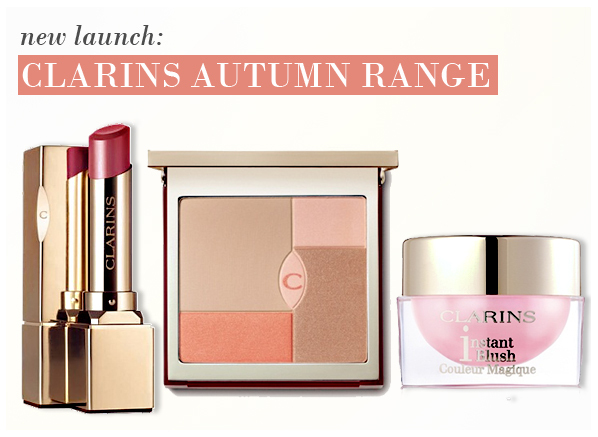 Clarins have launched a new range of make-up products for the Autumn season. The range consists of a Rouge Prodige Lipstick, Palette Prodige Face & Blush Powder, Instant Blush Magic Colour and Kohl Eye Pencil. The ‘hero’ product is Rouge Prodige – a new lipstick with a high performance formula which offers rich colour, stunning shine and long lasting comfort. The lipstick is available in a whopping 24 shades, and comes in a beautiful gold case. Palette Prodige Face & Blush Powder is a silky soft pressed powder for an even toned complexion with a radiant glow and velvety finish. Instant Blush Magic Colour is currently the talk of the beauty industry. A sheer, transparent baby pink gloss which deepens to a rosy glow when applied to the skin. It recreates a flush colour reminiscent of a natural blush. Kohl Eye Pencil is a gentle pigment rich formula which glides on easily to beautifully highlight and define eyes. Bought this as a present for myself! I haven't used it yet but it looks lovely and I'm sure I will love it, as I do all Clarins products. This entry was posted on Thursday, July 22nd, 2010 at 12:14 pm and is filed under Make-up. You can follow any responses to this entry through the RSS 2.0 feed. You can skip to the end and leave a response. Pinging is currently not allowed.